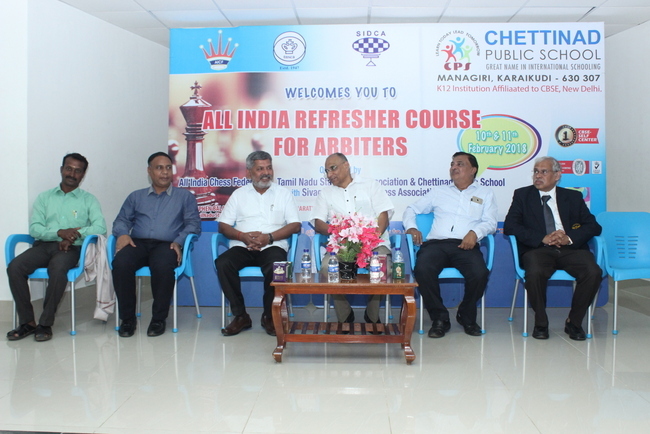 The All India Refresher Course For Arbiters, organized by Chettinad Public School, and Tamil Nadu State Chess Association, on behalf of All India Chess Federation was inaugurated by Sri. DV Sundar, Vice President of FIDE and All India Chess Federation at Chettinad Public School, Karaikudi on 10th February. 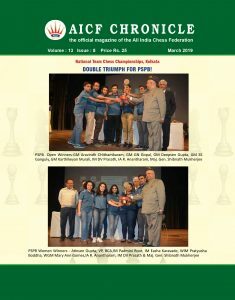 A record number of about 180 national, FIDE and international arbiters from different states of India attended the event slated for two days. Sri. SP. Kumaresan, Chairman of the Chettinad Public School, Sri. Stephen Balasamy, General Secretary, Tamil Nadu State Chess Association, Sri.V. Hariharan, Former Secretary of AICF & TNSCA and Sri. Ramesh, Principal of the School were the other guests for the function. Sri. DV Sundar reiterated the importance of the role of the arbiters in a chess tournament and he also elaborated the contribution of TNSCA and the role of AICF in the growth of chess in the country. Sri. 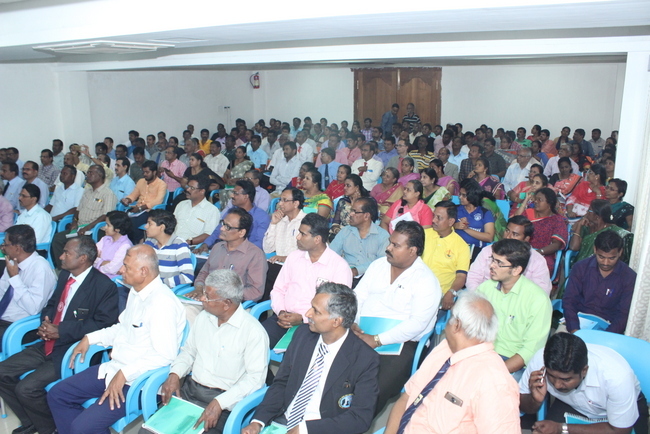 Kumaresan explained the role of the school for the development of chess in the area. He was also glad that the school had produced a national champion in Lakshana in the under 7 category of the recent National Schools held in Bhubaneswar, Odisha. Mr. Stephen stressed the need of the arbiters refresher course to make use of the opportunity provided to them to enrich their knowledge with respect to international arbiters. Prof.R. Anantharam, international arbiter and Chairman of Arbiters’ Commission, AICF, and Councillor, Arbiters’ Commission World Chess Federation welcomed the gathering.